Here at Drumstix, we take real pride in our food. 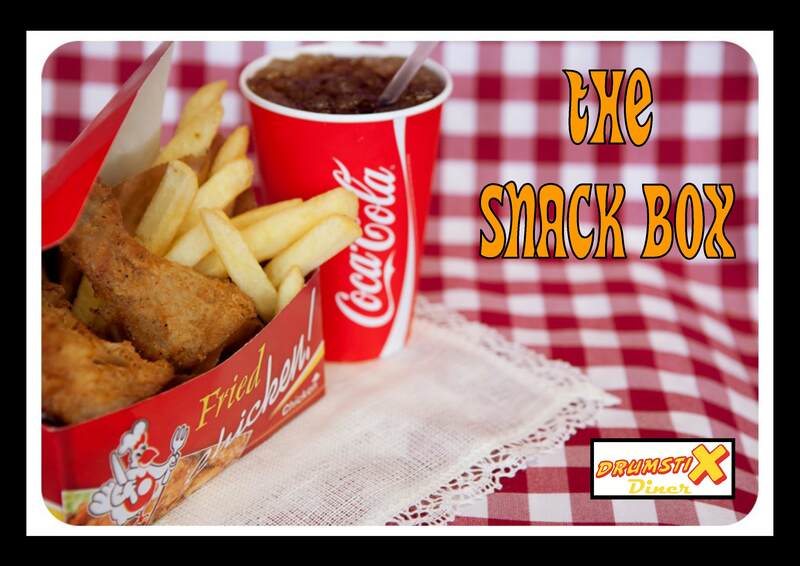 We are well known for our Drumstix Chicken which is specially prepared by us, dipped in buttermilk and then coated in Drumstix Special Recipe… one word… Yuuuum!. 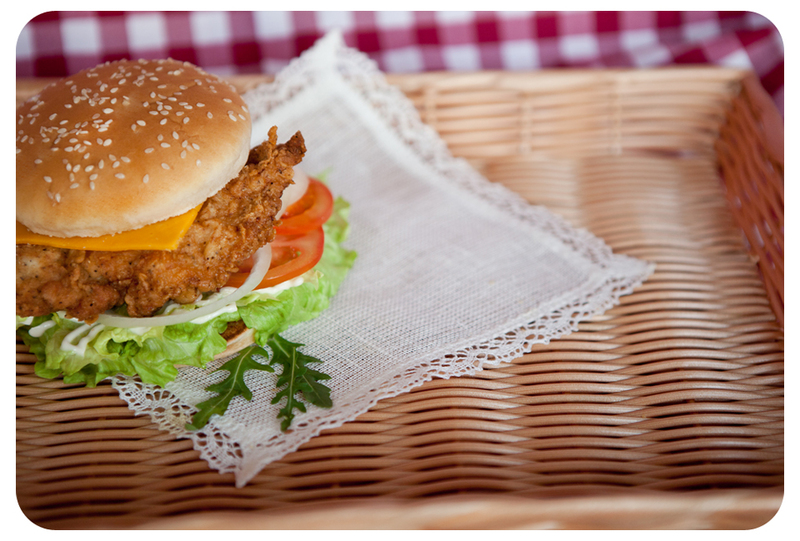 You have our Famous Chicken Pieces, Dinner Box and Snack Boxes or the hugely popular Breast in a Bun range and Wrap Ranges where you have a great variety to suit all tastes. 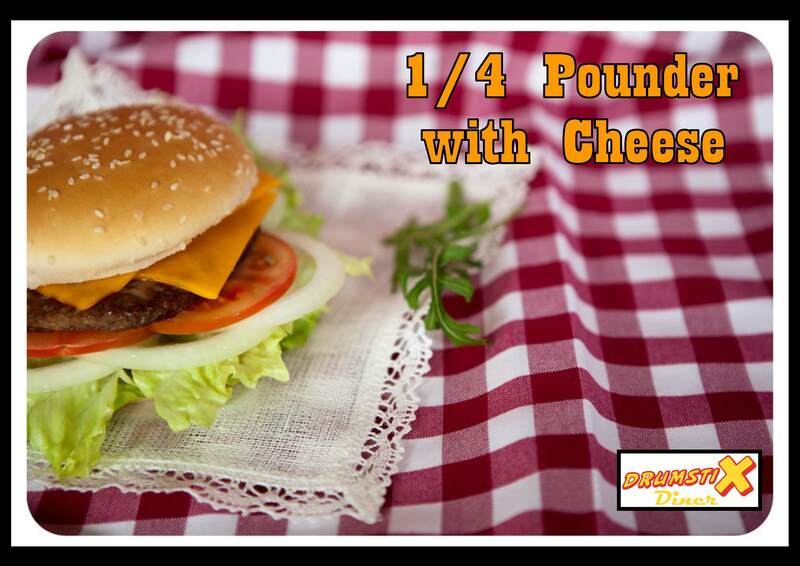 In Drumstix we also believe “All quarter pounder Hamburgers are NOT created equal,” Drumstix Quarter Pounders are specially made for us by a local cork butcher boy! “We don’t stack ‘em and We don’t rack ‘em”. Our Quarter Pounder only hits the grill when its ordered to make sure you get it at its very best. The only hard part is choosing which one to order. 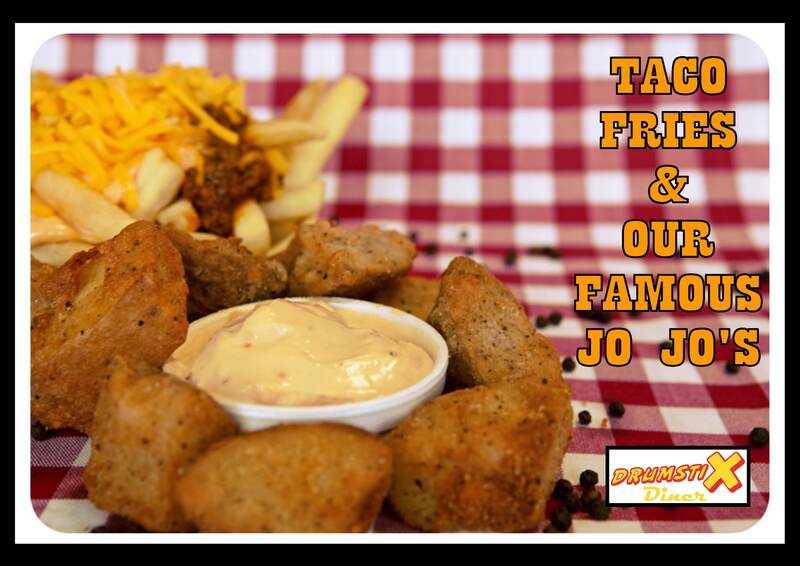 We have an equally great range of fries which includes our Taco Cheese Fries and Jojo’s which we are very proud of. Wash it all down with a Coke or one of our great milkshakes (oreo’s a favourite). It's a Menu where the X in DrumstiX will definitely hit the spot.